Families with infants, toddlers and/or small children know the importance of securing them safely in age- and weight-appropriate car seats. But when you have three kids you need to transport using car seats, knowing which vehicles can accommodate them can be a research nightmare. Here are five 2013 model year cars, SUVs or crossovers and one minivan that should be worth a good look. They are in various price ranges and offer many different trim levels to customize the vehicle to fit family needs. 2013 Chevrolet Impala – This is the last year of the current design, with an all-new 2014 Impala waiting in the wings and coming out this fall, but the 2013 Chevrolet Impala is one full-size sedan that offers plenty of room in the back seat to handle three car seats. A sedan may be more in line with what you’re used to driving, and if you’re just starting off with your family and don’t want or require a bigger vehicle such as an SUV or crossover and really don’t want a minivan, check out the 2013 Chevrolet Impala. 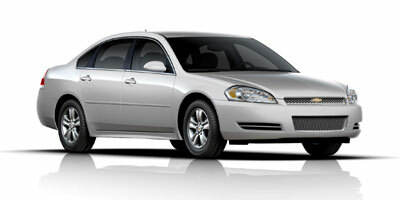 Available in LS, LT and LTZ trims, the 2013 Chevrolet Impala ranges in starting prices from $25,860 to $30,400. 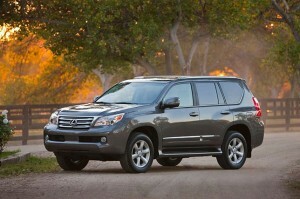 2013 Lexus GX460 – No doubt about it, the 2013 Lexus GX460 is a large SUV. It is also a luxury SUV, so that means plenty of extra touches you’d expect to find in a luxury vehicle. As far as accommodating three car seats in the second row, the Lexus GX460 handles the task with ease. The accessible Latch anchors make attaching the car seats simple and quick. While the big SUV has a third row, most reviewers find this to be less accommodating, especially in that it lacks a top tether anchor. 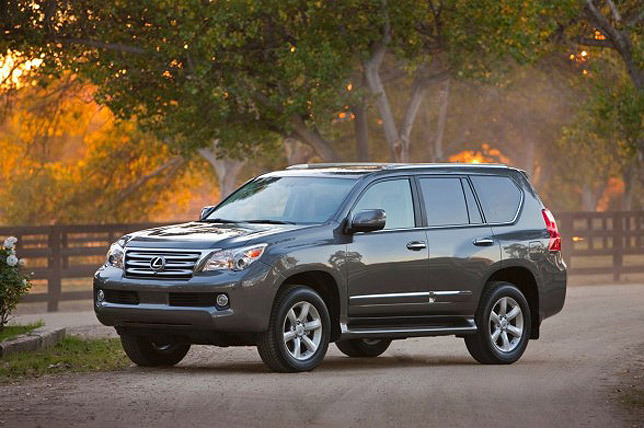 The stylish 2013 Lexus GX460 comes at a fairly hefty price, ranging from $53,795 to $58,590. If riding in comfort and luxury and being able to transport three kids in car seats, as well as bring along cargo and another passenger or two in the front and third rows is what your family needs, the 2013 Lexus GX460 might be worth considering. 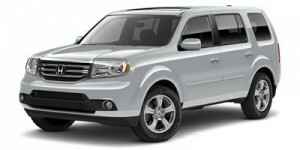 2013 Honda Pilot – The eight-seat 2013 Honda Pilot midsize SUV comes in four trims: LX, EX, EX-L and Touring. As far as family duty goes, the Pilot does just about everything necessary, and in some style. All Pilot models are equipped with LATCH in all three second-row seating positions and in the right-side third-row seat. The LATCH system provides two lower anchors and an upper tether anchor. When used with a compatible child seat, the LATCH system provides attachment points between the child seat and the vehicle seat. Pricing for the 2013 Honda Pilot ranges from $29,520 for the two-wheel drive (2WD) LX to $41,270 for the four-wheel drive (4WD) Touring. 2013 Nissan Murano – The five-passenger midsize 2013 Nissan Murano crossover offers touches of elegance, comfort and style, and the ability to carry three kids in car seats in the second row of seats. 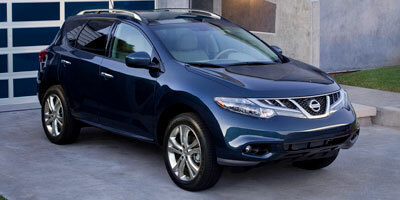 Available in S, SV and SL trims, pricing on the 2013 Nissan Murano ranges from $30,45-0 (S) to $37,800 (SL). In most reviews, critics write that the Murano handles very well, exhibiting good comfort over rough roads. The interior is well-constructed with high-quality materials and reliability is better than most vehicles in the class. 2013 Toyota Sienna – With its roomy and comfortable interior, powerful and smooth standard V6 engine and plenty of standard and available features, the 2013 Toyota Sienna is one seriously family-friendly vehicle. It also seats up to eight. But, of more importance to families requiring the ability to transport three kids in car seats, the Sienna is definitely up to the task. LATCH in the Sienna includes lower anchors on outboard second-row seats and center third-row seat. 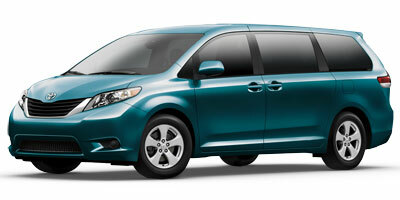 The 2013 Toyota Sienna is available in L, LE, SE, XLE and Limited trims, with all-wheel drive (AWD) optional. Starting prices range from $26,585 to $41,475.